There is something sublime about a thatched roof house that makes it an attractive and versatile choice throughout the world. 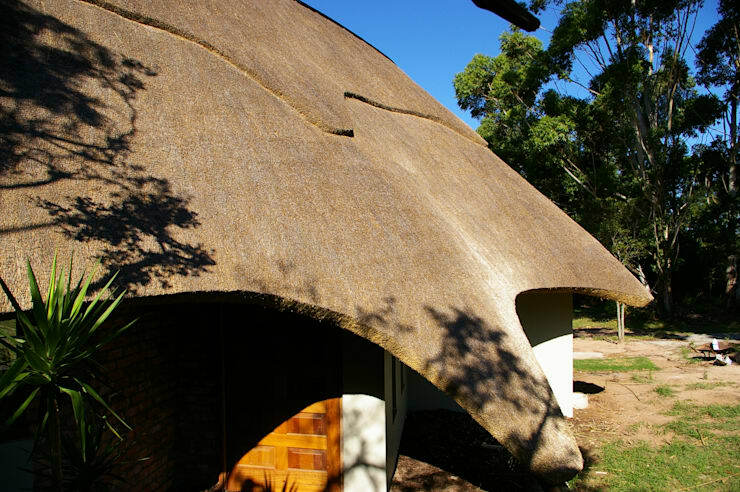 And because South Africa is rich in Dutch history, this roof style was adopted as an option for architecture hundreds of years ago, some of the most original designs are still in existence today! 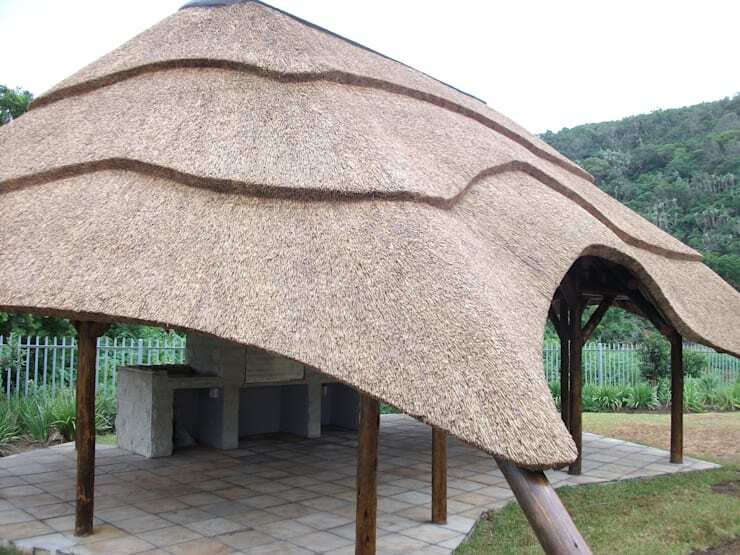 In this homify feature, we consider the many varieties and possibilities of thatched roof houses in the South African context. It's a fantastic natural insulator, promising to keep the house cool and comfortable during summer, while maintaining the warmth during winter. 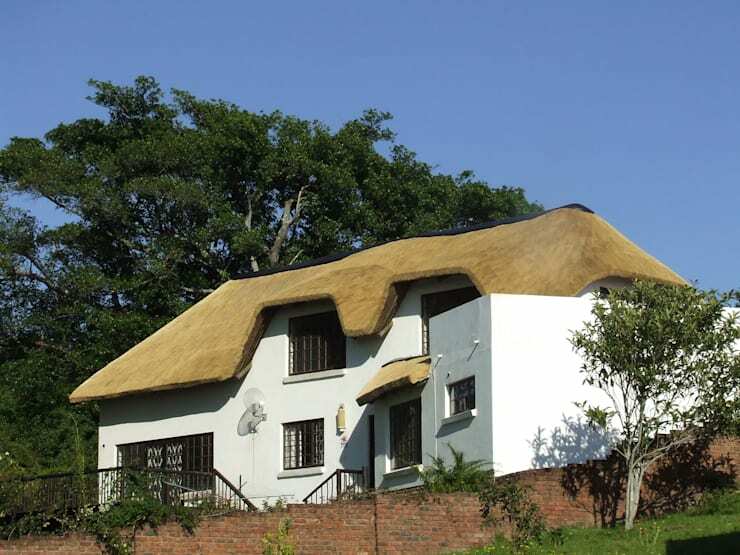 This thatched roof example shows the scalloped finish and edging on a stunning yet simple home. 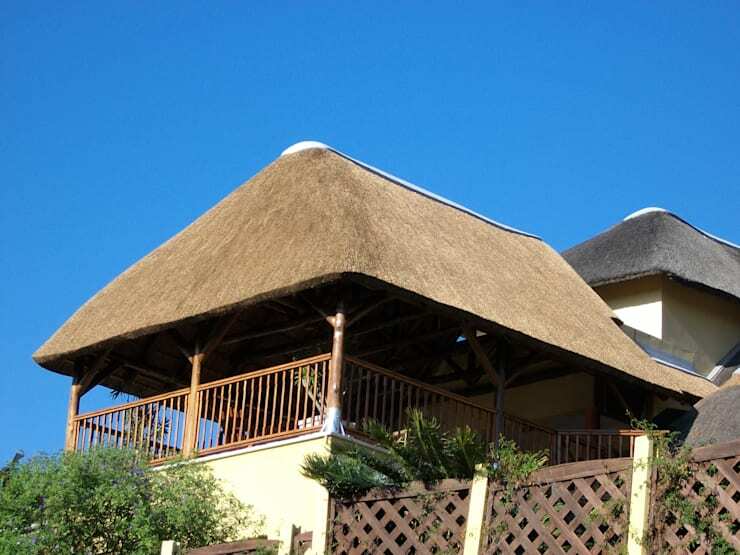 Remember that if you are considering a thatched roof for your house, then it is imperative to contact a reputable thatching contractor to do the work for you. Ask them for a list of references, previous work examples as well as proof of their membership to the Thatchers Association of South Africa (TASA). 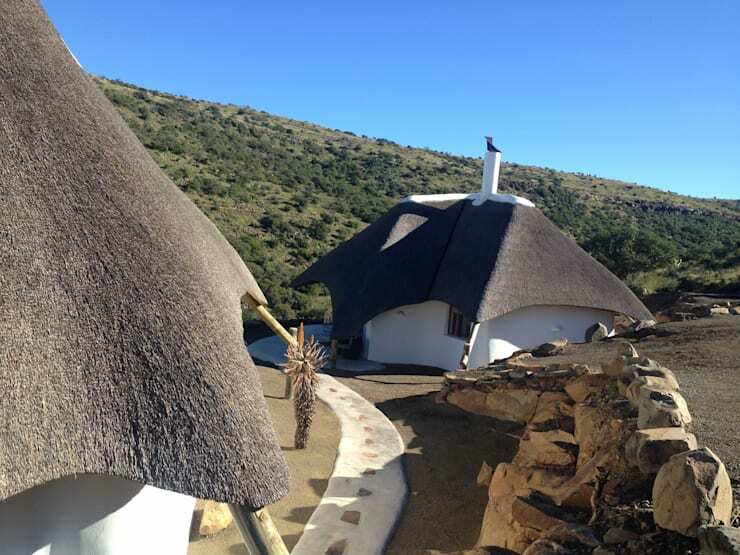 These are some game lodge thatched roof cottages in the Eastern Cape. It's an excellent design for that authentic yet charming nature loving environment. The curves and contours of the roof are being supported by poles that are secured in the ground. Here we see a large house that has not been spared of thatched roof splendour. This light-coloured thatch grass is a fantastic option for coastal areas as it has a long life span. 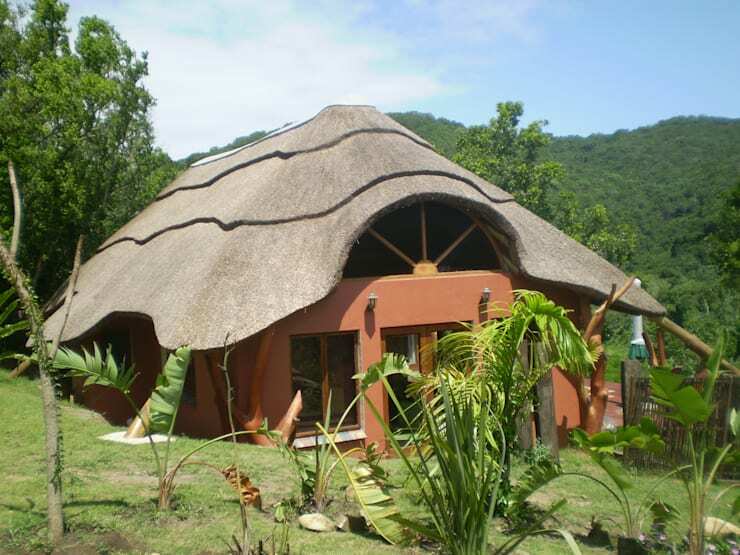 This thatched roof has some elegant and creative curves and contours, making it a great choice for this residence in the Eastern Cape. 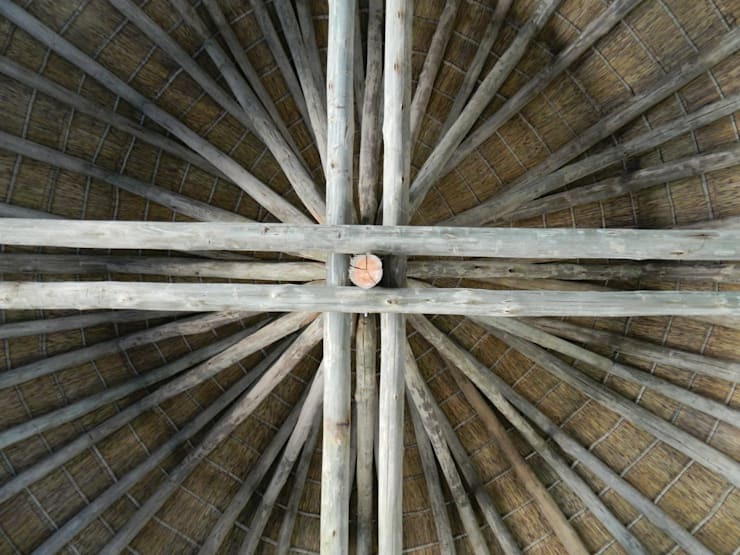 If you've ever wondered how the inside of a thatched roof looks, this large circular roof is held in place by perfected and structured poles. 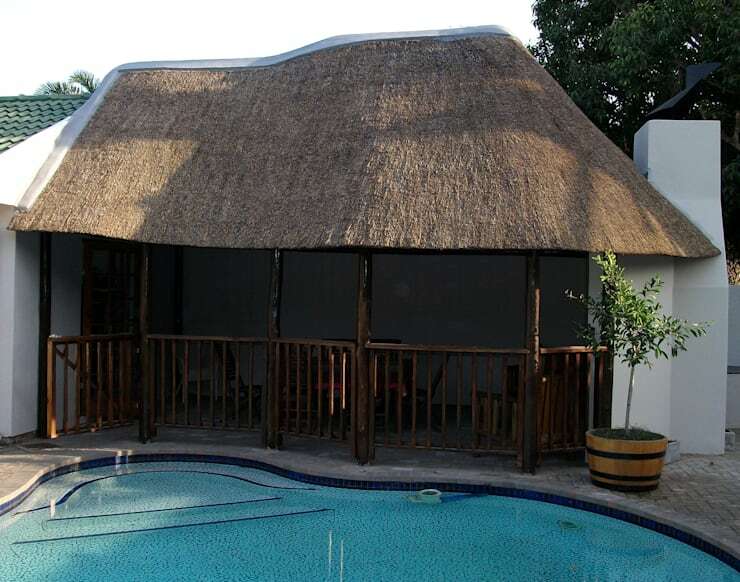 Thatched roofs also make a great setting for the lapa and entertainment zone of the home, providing shelter and shade during the days of sweltering heat. This is another scalloped edge example… a perfect setting for that braai area. 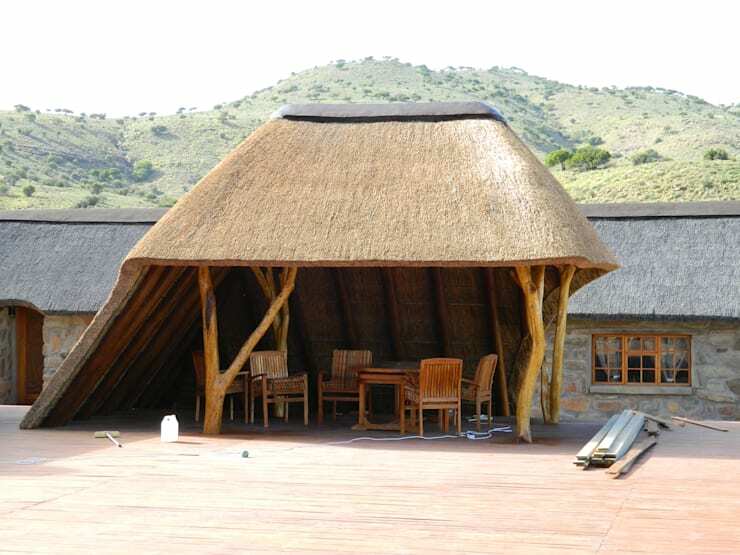 This is another creative choice for the outdoor dining area of a game lodge, with tree supports adding a dynamic yet fantastic feeling of comfortable elegance and style. This thatch roof bar located in the centre of a pool is sensational. There is something absolutely gorgeous about this sight, it's almost like an island paradise. 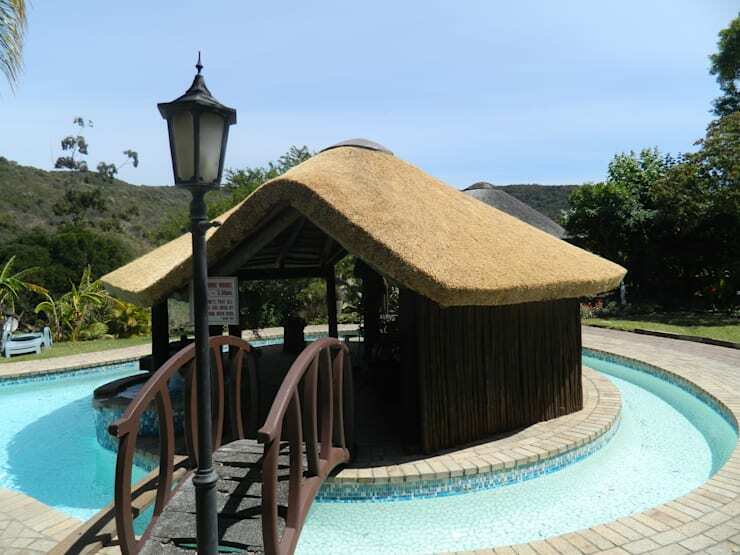 The thatch roof shape is a bit more modern and simple, with its straight edges and slightly curved finish. An idea such as this promises to make your veranda a comfortable and usable space whatever the weather. 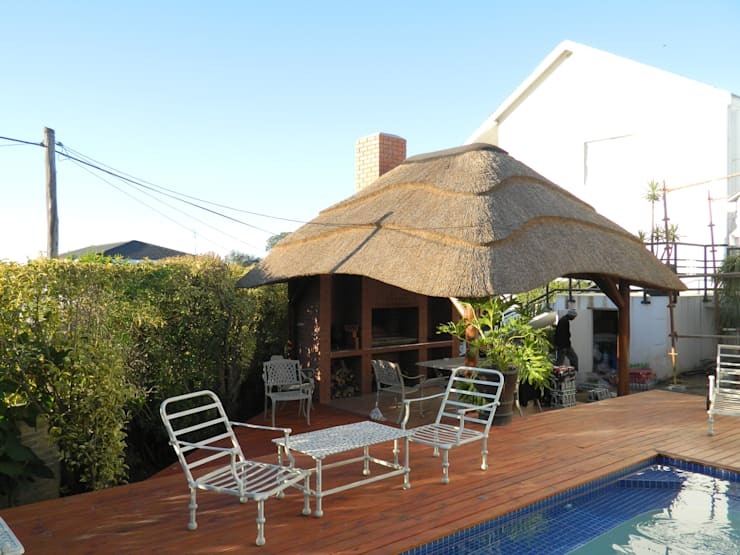 This thatched roof braai spot is spacious and welcoming. It's a great idea for a game lodge or even your backyard, while the scalloped design creates an even more interesting approach. to existing walls. It's a great addition to a pool side entertainment area or outdoor dining spot. If you liked this feature of thatch roof ideas, then The thatch roof dream home will be a great read too! Would you opt for a thatch roof?